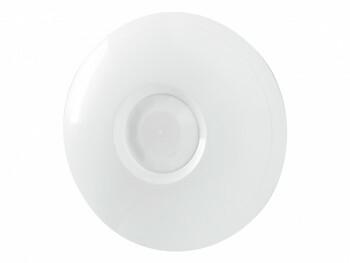 The ceiling mount volumetric passive infrared (PIR) motion sensors provide high value in both design and performance. These sensors are well-suited for residential and light commercial environments with a stylish housing to complement any decor and modest budgets. This series of sensors feature the latest in digital signal processing with superior catch performance that reduces electronic sensitivity - resulting in a greater level of false alarm immunity.